I’ve been enjoying backpacking and running long enough to remember when nighttime illumination meant carrying a flashlight. Over time, bulky flashlights equipped with D cells evolved into sleek Maglites stocked with AA batteries, and then came the promised land of headlamps. What could be better than operating hands-free? Viva la evolution! The advent of LED lighting has given us brighter, more energy-efficient lighting than incandescent bulbs, and lightweight rechargeable lithium-ion batteries have eliminated AA and AAA batteries. BioLite has taken these threads and stitched together a headlamp with an innovative design that reflects what new tech can do. 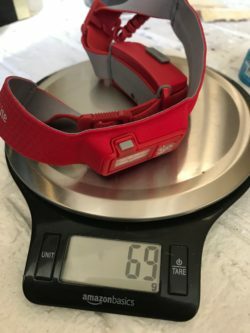 Headlamp 330 measures in at a svelte 69 grams. The HeadLamp 330’s design breaks the mold. By moving the battery to the back, BioLite has engineered a slim and balanced design that feels completely different than any other headlamp I’ve used. The even distribution of weight from front to back eliminated the bouncing and slipping I’ve occasionally experienced with other headlamps. While it sounds a bit cliche, after wearing the Headlamp 330 for a while I truly did forget it was there. Getting the fit just right with the HeadLamp 330—centering the lamp in front and the battery in back—is a tweaky process, but BioLite’s videos do a good job of showing you how to set it up (Pro tip: adjust the strap simultaneously on both sides of your head). Once adjusted, the straps have held perfectly with only minor adjustments required, depending on whether I’m wearing a hat. The headband can be hand-washed with a mild detergent or dish soap and water. BioLite recommends dampening a sponge and wiping down the inside of the band. The small control button is located directly in front of the tab that adjusts the angle of the beam. Unlike most headlamps, which feature a switch or a big-old button to mash down, HeadLamp 330 has a somewhat refined and small control tab. Press down to turn the light on or off, and hold to dim or brighten the light. Cycling through the different light modes is also accomplished by pressing the tab. BioLite’s introductory videos do an excellent job of getting you up to speed on using the headlamp’s features. The light on the front of the unit tilts up or down, to direct the beam from straight ahead to ground level, a really nice feature to have when you need to watch your step on rocky trails in the dark. Spot: A highly directed beam, good for when distant viewing is key. Flood: A wider beam, best when you need to take in a larger area. Spot + flood: The first two combined, for maximum coverage. Red night vision: Excellent for when you don’t want to degrade your night vision, or when you don’t want to blind your fellow campers. The first three settings can be variably dimmed simply by holding down the control button on the front of the headlamp. The red light is fixed at one setting. BioLite claims up to 40 hours of battery life with the 330, but only 3.5 hours when running all out on the highest setting. In my own experience, I found the battery to have plenty of juice for the activities I was engaged in. I was able to go for well over a week with intermittent daily usage while training in the winter, and it didn’t require charging during a two-night backpacking trip. The BioLite headlamp is compact enough to easily slip into a pocket on a hydration vest. Winter is a time for dark weekend mornings at the trailhead. The BioLite was an excellent companion for my trail-running expeditions. I liked the choices the spot, flood, and spot and flood options gave me, and I found that I used them all, depending on the light and weather. When the sun rose, the HeadLamp 330 slipped easily into a pocket on my hydration vest. On the road the snug, no-bounce fit was just as welcome as it was on the trail. And I found that the selectable flash option was an excellent feature to employ even after the sun came up. Drivers were much more likely to notice me at intersections and road crossings. A midwinter backpacking trip is a great opportunity to test out a headlamp. There’s less daylight, and cold conditions put more stress on batteries. I was able to duck out of Charlottesville in January to a nearby section of the AT for a two-night trip with the BioLite. The BioLite’s low weight made it a welcome part of my backpacking rig, and the lamp didn’t miss a beat during the trip. In particular, I found the adjustable floodlight feature perfect for illuminating my tent interior with a soft light in the evenings and mornings, while the spot setting illuminated a clear path when I needed to take a late-night trip to the privy. The red option is a must when sitting around the campfire or shelter with other hikers. Although I brought a backup battery for charging, I didn’t have any need to recharge the headlamp. Based on consumption I think that even in winter it would have lasted for several more days before charging. Pros: I didn’t think that using a rechargeable headlamp was something I was interested in until the BioLite, but the long battery life eased my worries. 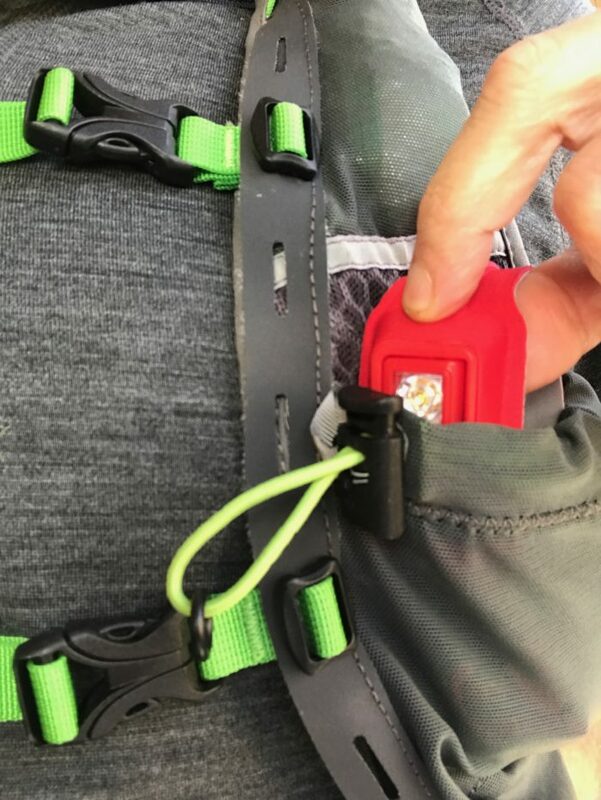 While there is the issue of recharging when you’re on the trail, by now we’re all conditioned to bring along a battery for charging our phone, watch, and other electronics, so it’s really not a concern. I also liked the light weight, comfortable ride, and range of angle and brightness adjustments. Cons: If I have one complaint about the 330, it’s the control button. It’s small, so it was a bit hard to find until I used the headlamp for a while. 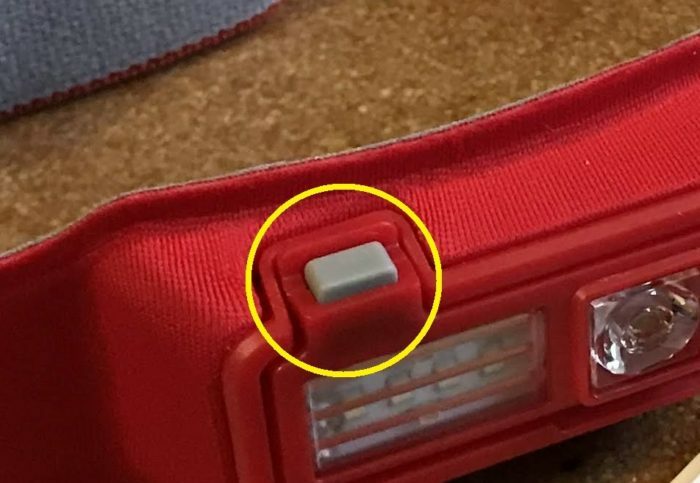 And I found that in cold weather the small size and the positioning of the button directly in front of the tab that you use to change the headlamp angle made it a bit difficult to use when wearing gloves. I really hadn’t considered how much the design of a headlamp could be improved until I encountered the BioLite HeadLamp 330. Clearly, BioLite decided to work outside the box and take the gamble to improve upon the tried and true model of what a headlamp looks like. In my opinion, they’ve succeeded. 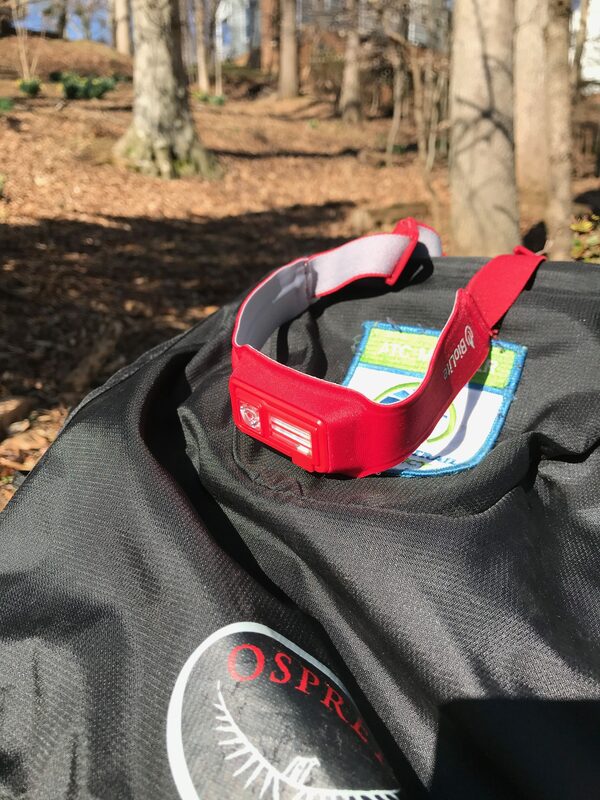 This is a comfortable, lightweight headlamp that really gets the job done. It’ll be my first choice anytime I pack up for a trip or step out the door for an early-morning run. This product was donated for the purpose of this review.